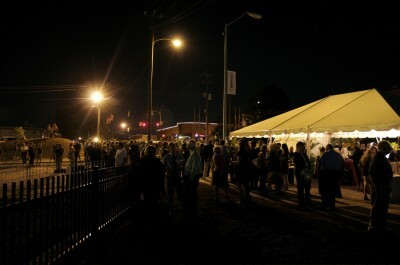 At 8:45 Thursday night, a crowd gathered to see the most beautiful building in Raleigh have one side illuminated by thirteen hundred LEDs funded by Cree to create the most awe inspiring piece of public art to grace an urban area. 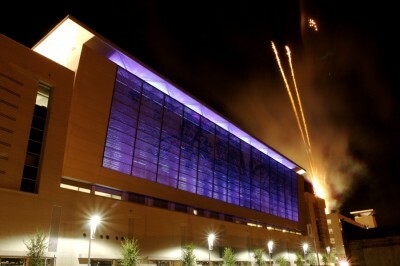 Fireworks kicked off the ceremony to create bursts of light from the ground to the sky. 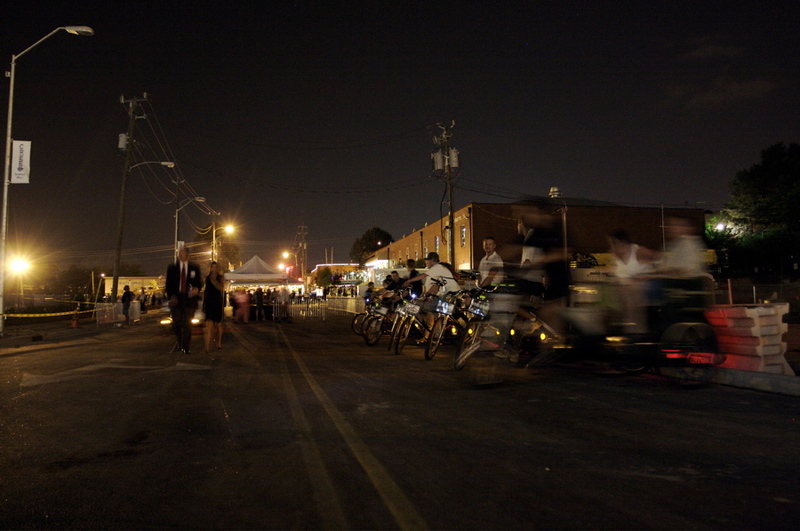 A gaggle of pedacabs from the Raleigh Rickshaw Company were lined up to give onlookers a complimentary ride back to their vehicle or residence. This was perhaps the largest gathering of journalists, photographers, bloggers, local elected officials, developers, real estate moguls, architects, and artists Raleigh has ever seen. 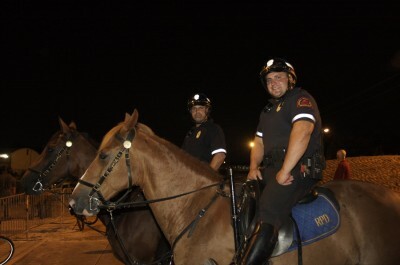 Pictured above is the most covered police officer on this blog, Officer Keen and fellow equestrian patrol agent, Officer Foster. Two thumbs up go to Jedidiah Gant, Thomas Sayre, Steven Schuster, and everyone else at Clearscapes for creating something that Raleigh residents can truly be proud of. The Shimmer Wall is the cornerstone of Raleigh’s renaissance. Damn, I didn’t know this was going on tonight. i was more excited to see that we moved the sir walter statue to the fayetteville st. side of the convention center. at least they had fireworks. it gave me something to clap for. Great photos, as always! From what I’ve seen online so far, yours are the only ones to have captured the fireworks and the illuminated wall in the same view. Good job! 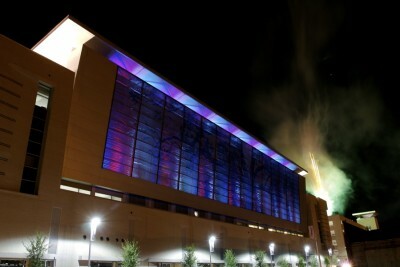 The shimmer wall, both lit and unlit, is truly a handsome example what public art can be. 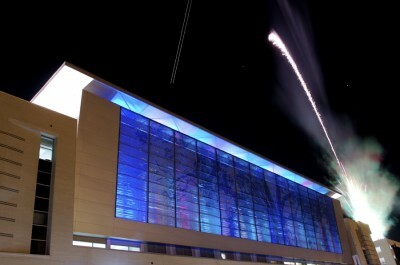 I’m glad Raleigh finally has a convention center, but am I the only one who thinks “airport terminal” when I see it?? I’ll have to go inside this weekend and see if the interior treatment will dispel that image! Such a great information you shared with us. I am doing some work of pattio lighting in different application which is in the process and also buying some commercial LED pixel light and controllers from the manufacturers and supplier of LED pixels and controller for their bright look.